The opening event is scheduled to be organized at the Maracana Stadium. If you are willing to watch it on TV, then you have to wait a little bit, and you may face disappointment. It is all because that NBC is not going to air it in real-time. There will be a gap of 30 minutes, so you will be able to watch at 8 pm on TV. The delays are unusual and steady. It all depends on your location. If you reside in the Central and Mountain time zones, then the ceremony will start at 7 pm while it is 8 pm for Pacific time zones. The event will be made to stream online but with a delay and a cable, a subscription is required to watch it for more than 30 minutes. On TV: NBC will start airing it at 8 pm Eastern. Streaming options: Watch it on your smartphone via NBC Sports app. You can also refer NBCOlympics.com from a PC. To watch it more than 30 minutes, both will require a cable subscription. The opening ceremony expectations are really very high as it has been directed by Fernando Meirelles, one of the Brazil’s most renowned filmmakers. However, it is a surprising decision to pick Meirelles for the same job as traditionally, the opening ceremonies in Brazil are meant to host the beauties of the nation. He is well known for his work in the 2002’s City of God which was a gritty film based on the drug trade and violent crimes which prevailed in the 1980s. Let’s see how much the wealth variation appears in it. Early reports from the sources suggest that the ceremony will focus more on the musical heritage of the host nation. It will vary from samba to funk carioca which is native dance type of Rio. It will be a star dubbed show and superstars like of Caetano Veloso and Gilberto Gil. Along with them, supermodel Gisele Bundchen will also perform on the stage. Thus, including each and every performance, the performers’ figure reaches to 4800 on the opening night. It will be an excellent and full of exciting performances for sure. It will feature the joyous aspects of Brazilian culture on the focus. But, the time inside Brazil is very bad as the nation is suffering the worst recession in its history and political confusion of several matters. 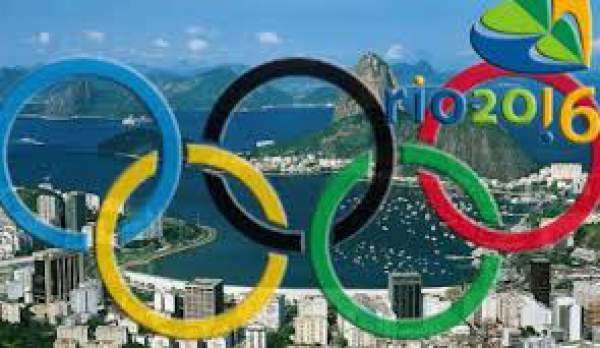 Moreover, the bad financial condition has taken Brazil to a very critical situation amidst the Olympics. Though the host nation hasn’t announced how much it has spent on the opening night, it is sure that the country will spend around half of the $42 million which England spent in 2012 London Olympics. Stay tuned to The Reporter Times for latest Olympics news and all other sports updates across the globe. Don’t forget to share it on social media sites.